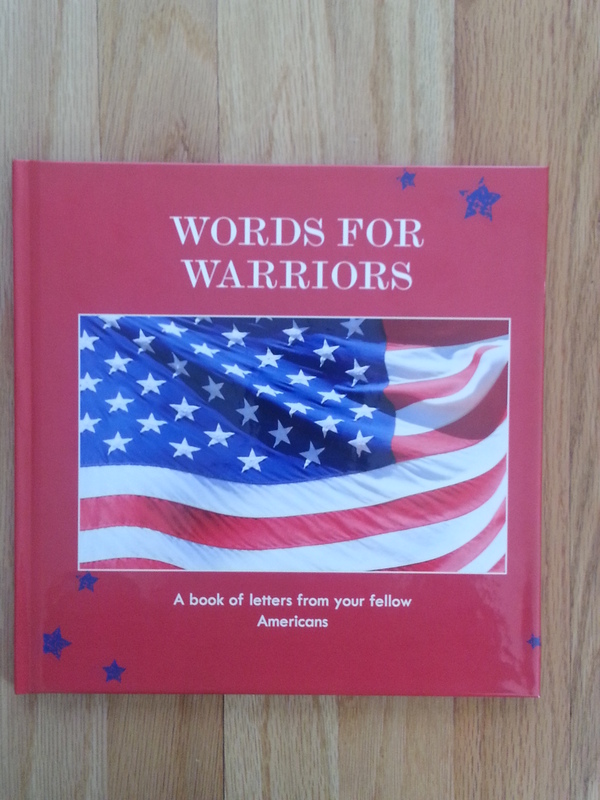 I’m happy to report that the hardback prototype book I ordered more than met my requirements. 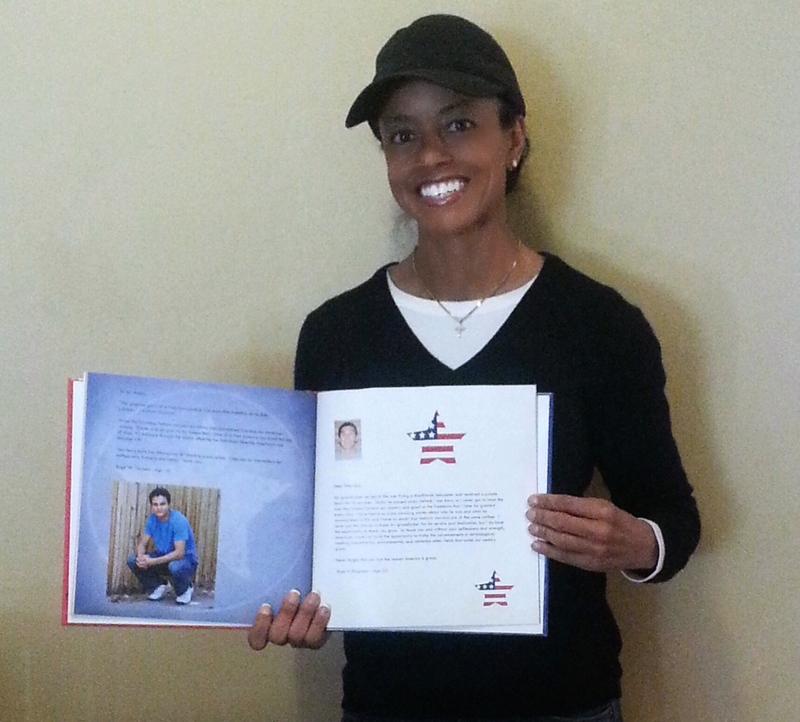 I love it and will be proud to distribute a book of this quality. I haven’t received the soft back version yet so will reserve judgment on it until I have a chance to inspect it. 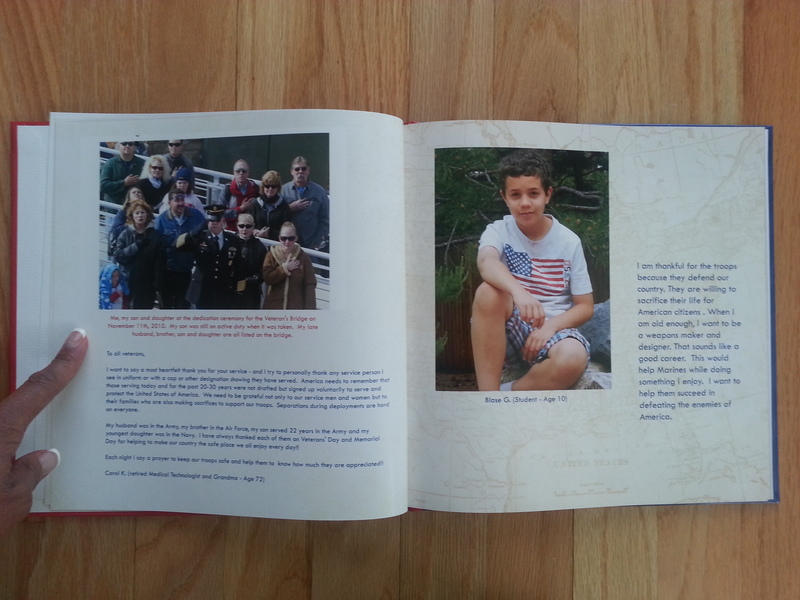 I took some photos so you can see exactly what the book looks like. Please note that not all the submissions that will be in the final copy (of the first edition) are included in the prototype book. This was sample for me so I could tweak text color, photo placement, font size etc. 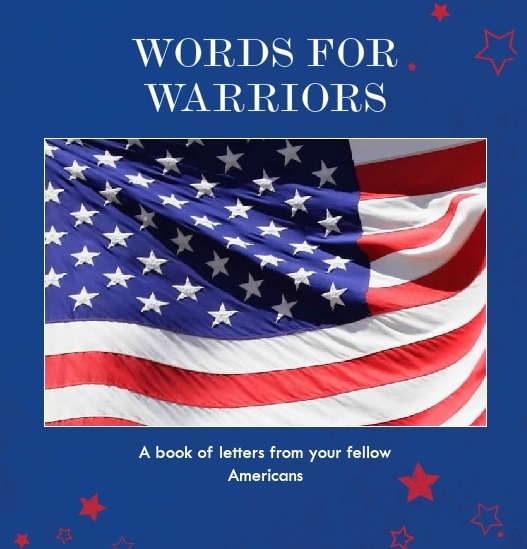 The prototype book is 29 pages, the first edition of Words For Warriors will be about 40 pages (unless I get a slew of new letters in the next couple of weeks in which case it may have more). This gives you an idea of the size of the book. It’s not itty bitty and the text and photos are easy to see. This is the cover. The cell phone photo washes it out a bit but the color is a nice vibrant red and the flag really pops on the front. 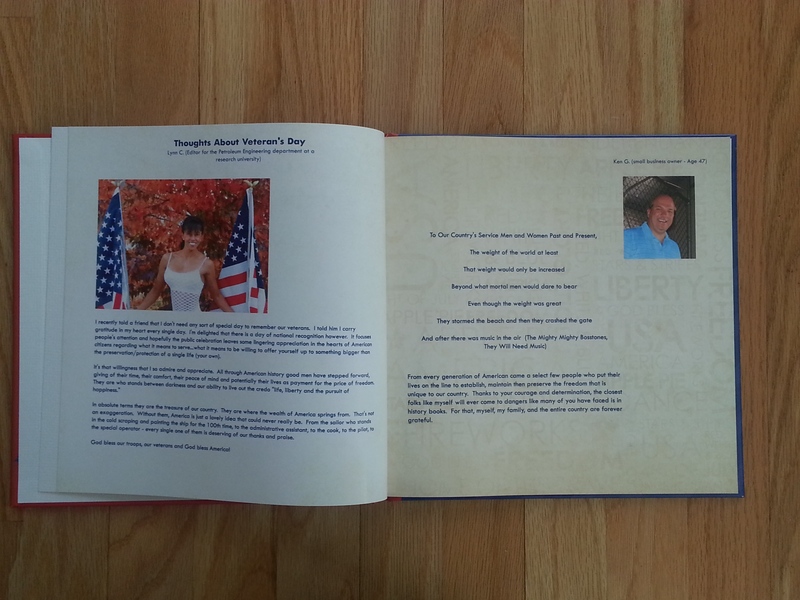 An example of what the book looks like inside. Despite the little blur of the cell phone photo, the text and photos are clear and crisp. 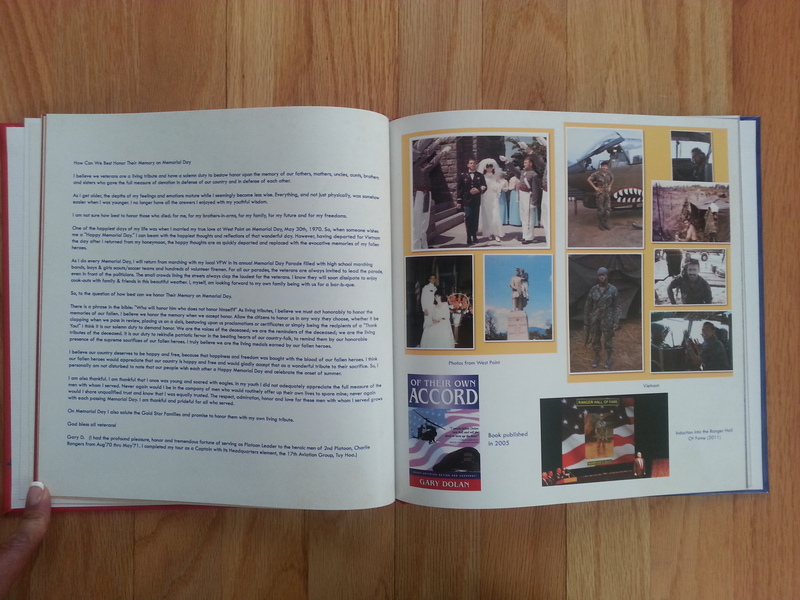 These pages had Gary Dolan’s photos on the right hand side of the spread and the text of his letter on the left. I decided to reverse the order in the final printing which seems like a more logical and better placement to me. 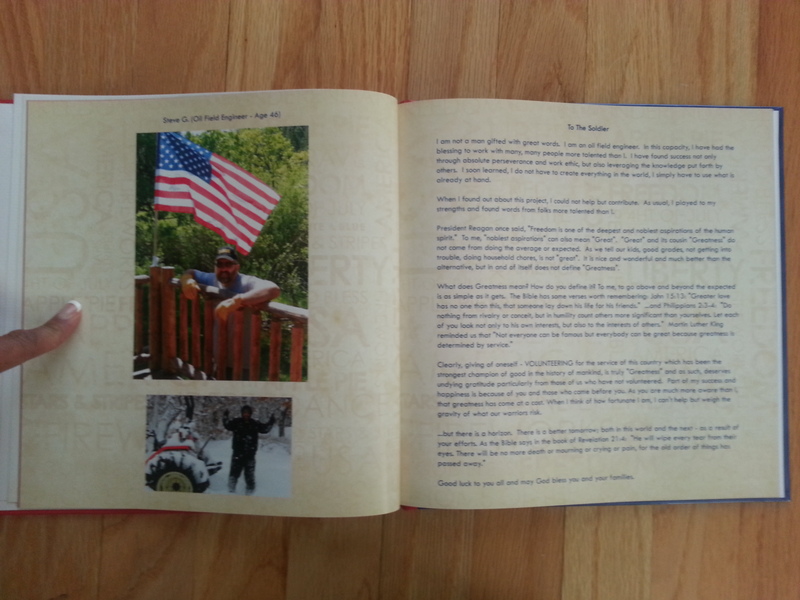 That’s why I ordered the prototype book….so I could see how the layout feels when you hold the book in your hands and read it.